Current acute ischemic stroke therapy has been guided by the recanalization hypothesis, the concept that we must restore flow to ischemic but viable tissue by reopening the occluded vessel. Recanalization preserves threatened neural tissue improving patient outcome. 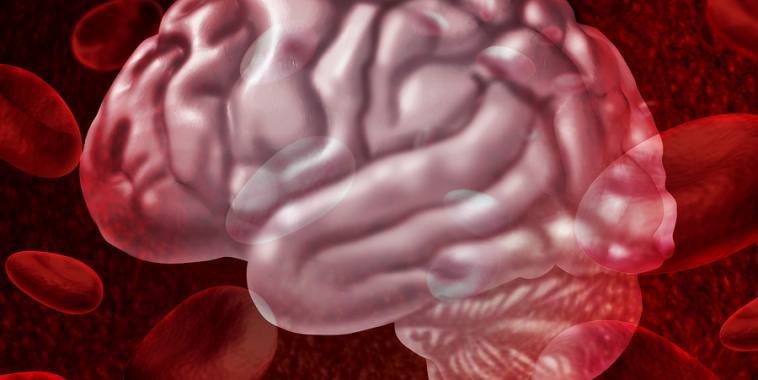 While recanalization may be spontaneous, this can be more rapidly accomplished with intravenous (IV) and endovascular or intra-arterial stroke therapy (IAT). Recently three well publicized randomized controlled trials failed to demonstrate improved outcome with endovascular therapy over IV thrombolytic alone. Although the trials have shortcomings that limit the generalizability of the results to contemporary practice, they have taught us powerful lessons that present a challenge and an opportunity for our field (click on the image to enlarge). Angiograms (AP view) demonstrating: A- appearance of an internal carotid artery terminus occlusion, with no antegrade cerebral perfusion. B- Successful recanalization with resorted cerebral perfusion after thrombectomy. The patient recovered with only minimal deficits (mRS 1 at 90 days). A stentriever following successful thrombectomy, demonstrating the integration of clot. These devices are the forefront of new techniques for successful vessel recanalization in acute stroke treatment. IV therapy is beneficial for proximal large vessel occlusions. Every single eligible stroke patient should receive IV therapy. We must improve our patient selection for IAT. The signal of benefit from IAT is clearly smaller than was assumed. We must target proximal large vessel occlusions when there is a large volume of neural tissue at risk. We must be faster. Reducing the time from stroke onset to recanalization is key. We must recanalize and reperfuse more efficiently. Older generation devices tested in the trials achieved successful recanalization in <50% of cases. We can now achieve unprecedented rates of successful recanalization (up to 90%). However, higher recanalization rates observed with IAT has not translated into proportionally better outcomes. These are where further opportunities lie. We have learnt the distinction between tissue reperfusion and vessel recanalization; a patent proximal vessel without restoration of the parenchymal blush and microvascular circulation is futile. Moreover, in addition to selecting our patients for IAT better, establishing reperfusion as rapidly as possible, by using the best endovascular techniques to achieve the highest reperfusion success, we must also improve our clinical evaluation and assessment of IAT as a therapeutic modality. How do we accomplish all of these? Improving patient selection remains an area of controversy. Ultimately, both clinical and imaging selection parameters should be evaluated. Patients with low NIHSS scores are probably unlikely to gain benefit from IAT irrespective of the level of vascular occlusion. Pre-procedural imaging should identify proximal large vessel occlusions, and assess the extent of established tissue injury. Clinical outcomes is strongly tied to final infarct volume — good clinical outcome is unlikely for patients with >70cc infarct volume, with reperfusion of infarcts >100cc likely to cause harm. These relevant threshold volumes may be much smaller for elderly patients. MRI DWI remains the gold standard for assessment of core volume; CT techniques are also widely used. Improving treatment times requires initial stroke treatment process mapping. Measuring your clinical practice process and time metrics is a revealing exercise. Delivery of IV tPA is guided by the Golden Hour. For IAT the expectations are less clear. Comprehensive Stroke Center certification requires a generous door to IAT time of 2 hours or less, but despite this many stroke centers struggle to treat patients within this time frame. Rethinking our approach to logistics for these patients will deliver great time savings. One measure with particularly high impact is parallel workflow streams for the individual role groups involved in delivering acute ischemic stroke care. Rather than working sequentially, we can generate time savings by working concurrently. Sustained success requires a committed, multidisciplinary team. Improving endovascular techniques is a broader concept than simply using devices that reperfuse more efficiently. The field is moving toward conscious sedation instead of general anesthesia, following recent data that suggests better outcomes. Alternate techniques, such as direct aspiration using large bore intracranial catheters and the new stentreiver devices are data driven approaches to recanalization and should be universally used. Finally, the access systems used to deliver these devices to the clot face will be improved, and will allow faster groin access to reperfusion times. Improving studies that evaluate IAT is the final component. We advocate better means of assessing outcomes, standardizing approaches to treatment across institutions (to allow easier and more informed comparisons) and the validation of biomarkers (e.g. time to reperfusion or final infarct volume). The recent randomized trials have produced the positive effect of galvanizing the endovascular community towards generating evidence, and have enhanced cooperation across the field as a result. We should be maximizing the effect of this. Approaching IAT in this multifaceted and comprehensive way will achieve that ultimate of goals, improving our patients’ outcomes for severe acute ischemic stroke. IAT is a specific and potent therapy for a selected subset of patients. Applied correctly, it has a power that is almost resurrective. We are excited by the progress of the field and look forward to this next chapter of care for our stroke patients.